Singer/Songwriter, John Enghauser, has been on the original music scene since the mid 90's. Beginning with his band Jamawokee, a high octane 4-piece funk rock project which debuted in Massachusetts, John began honing his songwriting and frontman skills. The band released it's first recording self-titled "Jamawokee" in 1996. In the late 90's, John fronted his own original group, Jeng, where he wrote all of the material and whose potent live show piqued the interest of record labels such as Columbia and Virgin Records. John released his second album "Larium Dream" which was a compliation of Jeng songs he'd written during his time with the band www.cdbaby.com/jeng. It was around this time that John also served as Music Director and contributing songwriter on the indie films "Urban Relics" and "When it Rains". The "Urban Relics" Soundtrack would mark John's 3rd official release to date. In 2000, Enghauser ventured westward where he landed in California. 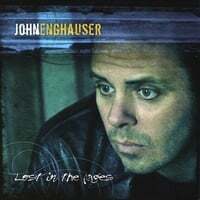 After several musical stints in San Francisco and Los Angeles, John has settled in the bay area where he's just completed his long anticipated fifth release "Lost in the Pages" www.cdbaby.com/enghauser. In addition to all vocals, John performs guitar, bass and keyboards on the CD. Currently, John is forming a new band and promoting "Lost in the Pages" which is being played in 13 countries worldwide including England, Australia, Germany, France, New Zealand, Canada and The U.S.
John's musical influnces include, but are not limited to Stevie Wonder, Early Genesis, Yes, Earth, Wind and Fire, Steely Dan, Peter Gabriel, Todd Rundgren, Led Zeppelin, Jamiroquai, Weather Report, Allan Holdsworth, Level 42, King Crimson, Phish, The Police and 24-7 Spyz. John is said to sound like Lenny Kravitz, The Black Crowes, John Mayer and Steely Dan. RadioIndy is pleased to present John Enghauser with a GrIndie Award for the CD "Lost in the Pages "
"Lost in the Pages" by seasoned songwriter and producer John Enghauser is a brilliantly crafted pop/rock album filled with radio-ready hits. John's diversified musical compositions keeps listeners engaged, while his skillfully penned lyrics infuse his audience with fervent emotions. The title-track proves to be an auspicious beginning for this album, highlighting John's niche for creating groovy musical hooks that are hard to forget. "Still Waters" and "Breathe Again" reveal a softer side of the record, led by the beautiful sounds of the acoustic guitar, and backed by stellar, heartfelt vocal performances. Moreover, the vintage southern-rock tune, "Kitchen," goes on to highlight the diversity displayed on this album, as well as John's remarkable ability to deliver vocal performances fitting for numerous genres. Polished with superb production, fans of passionate pop and acoustic rock with an occasional vintage undertone will enjoy this CD. John Enghauser Press Release on Digg.com! "Lost in the Pages" Reviewed by RadioIndy.com! Velvety smooth vocals over melodic groove rock. Acoustic guitar meets electric in this "hooky" solo effort from multi-instrumentalist, John Enghauser, former frontman for Jeng. Recommended if you like Lenny Kravitz, The Black Crowes, John Mayer. FANS - Please checkout John Enghauser iTunes page play / purchase some great new music! FANS - Please checkout John Enghauser page and sample / purchase some great new music! Radioindy is pleased to announce that we have published our CD Review for John Enghauser to YouTube.com. Radioindy has published John Enghauser CD Review to lala Music Online. FANS - Please checkout John Enghauser la la and play / purchase some great new music!